Having tackled complete protection of all our favorite phones, LifeProof applies their specialized experience to creating some amazing new backpacks. Hitting the streets, concourses, and trails in four styles ranging from 18L-32L, LifeProof backpacks smartly cover our needs for all-weather gear transportation and protection. Available soon, the lineup ranges in MSRP from $99.99 to $179.99, but expect them to out work and out pace the premium packs they share a price range with. Regardless of the model that fits your lifestyle, you’ll get piece-of-mind features including LifeProof’s attention to device protection, water-resistant zippers / exterior, ergonomic straps, and a five-year warranty. Each LifeProof bag is designed with so many storage solutions, that I kept finding new pockets and functions I’d previously missed in the Squamish XL I checked out. The Goa, Squamish, and Quito are similarly fat-packed with optimized stow and convenience features. 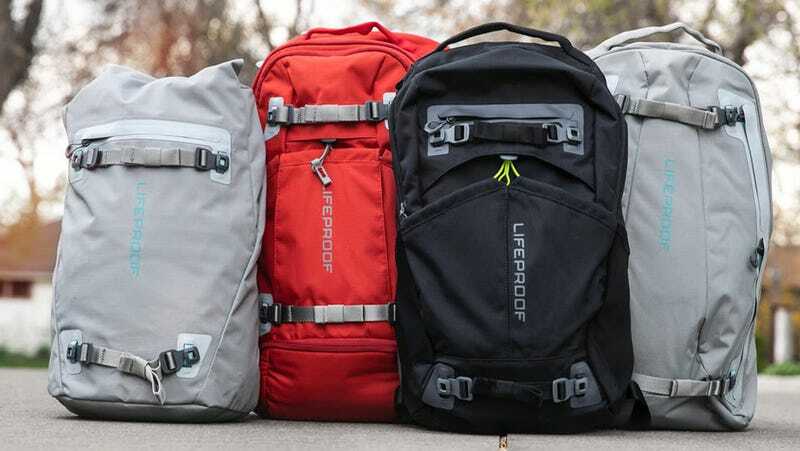 The padded back and ergo shoulder straps of LifeProof bags are next level in design and function. They are noticeably more comfortable to carry and less sweat inducing than comparable bags I’ve used, including my previously favorite daily carry backpack. Let’s be honest, LifeProof isn’t inventing anything new here - these are backpacks after-all. What LifeProof has done so very well with this new line of packs is the marriage of elite protection, versatility, organization, and convenience. I’ve developed a embarrassingly-deep bond with my old backpack, but its retirement was certain within a day of carrying the LifeProof Squamish XL.